Dream In Color – Page 2 – We all have dreams……what color are yours? So, here we are two weeks until the first day of school. I have to say, I am hating/dreading going back to school. While I thrive on schedule, routine, and patterns I also miss the easy-going days of no homework and no stress. To combat the stress and chaos of the coming year, I have really loved working with my new Love Today Planner Kit. I know that everyone has a preference for planners and organization systems, please take a look at this and see if it will work for you. It can be a planner or a memory keeping system. The inserts for the Memories and More albums fit perfectly into the Love Today Planner binder. So, that’s pretty diverse. 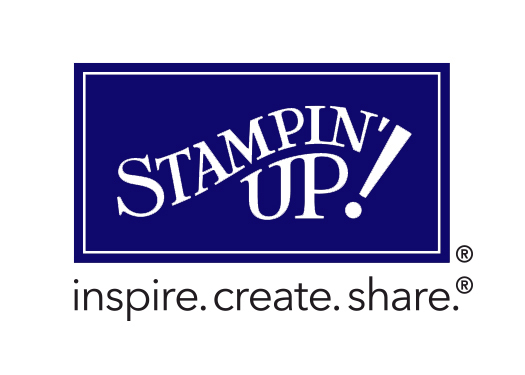 Enjoy this video from Stampin’ Up! about how to use the Love Today Planner. You can start this with ANY month and there is a refill available for you to use next spring when it is time to update everything. Click here for the planner video. Enjoy this video and click here to shop in my on-line store. One of the best things about being a part of Stampin’ Up! and a member of the Paper Made Prettier and Spread Joy Teams is the support and encouragement to get outside your comfort zone. Support comes in many ways – a smile, a pat on the back or simply a ‘good job’ or liking a post. Encouragement also comes in many forms, but best of all, it comes with no pressure. A fellow team member suggested to me recently, after completing a monthly swap, that I should put my name in the hat as a display board stamper for OnStage. Me? Seriously? But the more I thought about it, the more I thought, why not? This is simply one more way I am testing my boundaries and trying something new. So, with that, I present my submission for the OnStage display board stampers. Although I love all paper crafting, my first love is creating scrapbooks. My grandmother was a scrapbooker WAY before it was trendy or popular. Because of her, our family history was painstakingly recorded from her days in high school at the turn of the century, through both World Wars, my grandfather’s lengthy railroad career, and the successes of her children and grandchildren. It is an incredible treasure. As a parent, I have recorded the highs and lows of our family, especially since the birth of our now 15-year old son. Like many other family historians, I am not completely up to date. This photo is from his 13th birthday party. The Birthday Memories Suite is perfect no matter the age of the celebrant. The colors are beautiful and work for any age birthday. The polka dot paper is torn and the edges are rolled back a bit to emulate tearing the paper off a package. And, in keeping with the package theme, I fussy cut packages from the coordinating DSP to provide a 3-D look to the page. And I stamped on the banner being held by the fox. 0 The ‘package’ at the bottom left of the page contains the journaling for this page. I am constantly searching for card ideas and inspiration that are unusual, with different color and texture combinations, and different folding techniques. I stumbled upon the inspiration for this card and immediately knew I had to make it. I love that it allows more detail for the card front, while at the same time providing more than adequate space for writing a note or short letter. With the new catalog items available, I was able to make it more current by including the gold flower made with the Daisy Punch. When folded, this is the standard 5.5″ X 4.25″. While we are looking at the fall colors, check out this 3-D item inspired by the catalog images for the Color Theory Suite. I love making these little packages. It pr ovides the perfect size for gifting treats to my friends and co-workers. To make this box, I used Old Olive card stock, Colorful Seasons Stamps, and the Seasonal Layers Thinlits Dies. This is a super fast and super easy bag you can make with the Gift Bag Punch Board. This version of the gift bag was made using the small template, but it can be enlarged depending on the size of the available paper. The bag is topped with one of the Pretty Labels Thinlits, linen thread and more die cuts from the Seasonal Layers dies. I LOVE this set stamp set. I fell in love with it at OnStage Local in Shreveport and could not wait to get one of my own. First, it is incredibly cute and second, being in Razorback country, this is going to get a LOT of use. But, for now, I wanted to keep it rather simple. I added a pennant from the Birthday Friends Framelits Dies. I cut the pennant twice, once in Whisper White and once in Lemon Lime Twist. I further trimmed the Lemon Lime Twist piece to fit perfectly on the piece of Whisper White, adding the perfect amount of dimension to this card. My second 3-D item is a simple packaging technique for an up-cycled bottle. You might recognize the shape. You can buy these beverages in four-packs at the grocery store. If you saw my stash of recycled/upcycled bottles, you would know just how much I love this beverage!! Not only do you get to recycle these awesome bottles but it provides a quick way to send a ‘happy’ to someone without breaking the bank on filling it, or wrapping it. The label is made from the Label Me Pretty stamp set and the Pretty Label Punch. Want to know the best part about this? Easy peasy, lemon squeezy!! And, Last but not Least……. This is the third and final card for the Display Board stampers evaluation. While this card is a bit larger than the typical quarter-fold, it is simply a single piece of card-stock scored in half. The balloons have been fussy-cut from the scrap paper, adhered with dimensionals, and embellished with a bit of Wink of Stella. I think this may be my favorite card of all the ones presented here. But, with all of the cute DSP and stamp sets, I know there will be many more cards, scrapbook pages, and trinkets to come. I hope you enjoyed this medley of new Stampin’ Up! products. Please contact me if you want any more information regarding what you have seen here. Keep on Dreaming in Color! Wow! I am glad I missed yesterday’s posting so that I can include some AWESOME news about Stampin’ Up! First, I want to thank everyone that has placed an order with me. You guys are the best. THANK YOU! Now, here’s some really big, big news. Stampin’ Up! is paying you to shop. Yes, you heard me right. For every $50 you spend during July, you will receive a $5 discount to use in August. And if that’s not enough, let me tell you the big news if you are thinking about being a colorful dreamer (or happy shopper 🙂 ). In July, if you decide to join my team, you will receive the same $125 worth of stamps and supplies for $99, but you will also receive the Carols of Christmas as a gift from SU to you. It’s so much fun to get new stamps and supplies – but if you can get them at a discount AND before everyone else — that’s even better. Now, to a recap of my weekend. I had an extended workshop here to make 12 cards from the Eastern Palace bundle. We had SO much fun just playing. I may have been a “little ambitious” in what I had planned for the workshop. Here are a couple of photos of works in progress and finished projects. And, I promise, that’s ink on Sassy’s arm – it is NOT a bruise! And, as promised last week, here’s a video for your entertainment and education. The Color Theory Suite is so cool. Great starter set – paper, dies, inks, and embellishments. For the entire month of June, host a gathering/catalog party/workshop and receive additional host benefits. Ask me how!! The new Annual Catalog is here. Click here to go my store! I will start sharing ideas and projects this weekend. I can’t wait to play! !